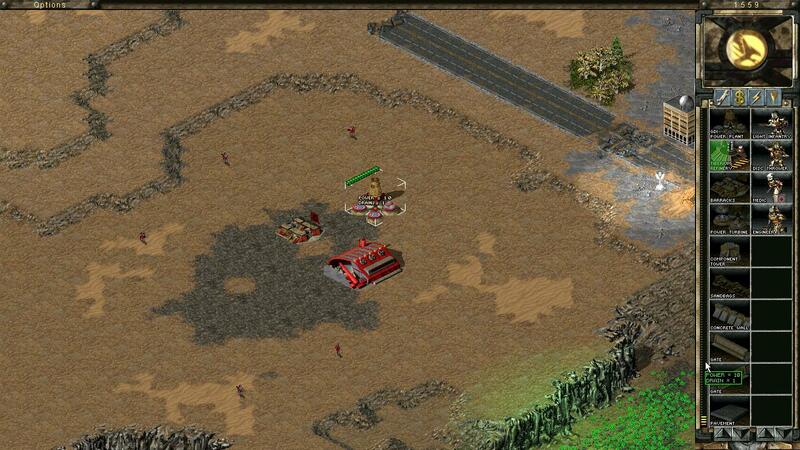 Along with the Templates I made for the Red Alert 2 sidebars, here are the long overdue Tiberian Sun templates. The layers are positioned how each SHP will appear in-game. Tabs.shp: This SHP consists of 3 frames. The first frame being the button on the top left of your screen, the second frame being the miscellaneous decor which connects the first and third frames and finally, the third frame is used on the top right of your screen where the players remaining credits are listed. Note: Text is visible over frames 1 and 3. Frame 2 is repeated constantly so try to avoid using a noticeably repetitive texture. Radar.shp: This SHP consists of 41 frames and it is very important that it always has exactly 41 frames otherwise graphical errors will occur. Frame 1 is your stationary closed screen image, typically the faction logo. Frames 2 through 40 are the radar online/offline animation images, remember that the offline animation is just the online animation played backwards. Frame 41 is what your radar will appear over, better if the center just contains a black square to avoid graphical issues. 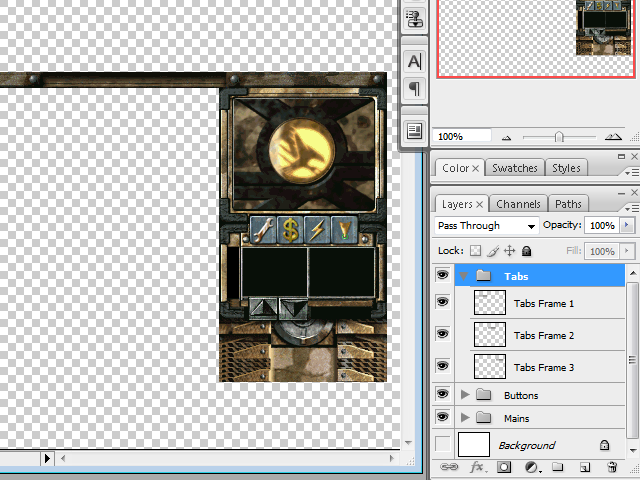 There is also a small transparent section in the center of this SHP where the buttons will appear in-game. It is important that that area remains transparent. Repair/Sell/Power/Waypoint Buttons: These SHP's all consist of 2 frames, an unselected and selected state. They will appear between radar.shp and side1.shp where the transparent parts are located. Side1.shp: Located just underneath the Repair/sell etc. buttons, there is a small transparent section in the center of this SHP where the buttons will appear in-game. It is important that that area remains transparent. Side2.shp: This SHP is where your cameos and power bar appears. It is the only other SHP in a TS sidebar that repeats itself over and over again other than the second frame in tabs.shp so it should also use a texture that isn't noticeably repetitive. I would highly recommend keeping the black squares where the cameos appear as the actual cameo dimensions (64x48) to avoid confusion or weird graphical issues. Where your power bar appears there is an empty transparent section, it is important that this section remains transparent otherwise the power bar will keep disappearing and reappearing in-game. Up/Down Arrows: These SHP's all consist of 2 frames, an unselected and selected state. They will appear between side2.shp and side3.shp. Note: There are transparent sections on side3.shp, however the game does not place the arrow buttons there once you're actually in-game, the template compensates for this, however. Side3.shp: Appearing just under the up and down arrows, this shp is simply used as additional decor. As mentioned in the up/down arrow section, the GDI Sidebar contains transparent (plain black) sections for the arrow buttons, but the game doesn't actually place the arrow buttons in that position. Addon.shp: Only visible in lower resolutions in the game, Addon.shp is of no real significance to the sidebar other than additional eye-candy. Powerp.shp: This is the power bar SHP, which is not included in the template as it is a tiny 5 framed file. The first frame is the image that is repeated all the way up the power bar, which can be used as additional decor. The second frame is your green/high power frame, the third the yelllow/average power frame and the fourth the red/low power frame. The fifth and final frame is the frame used at the top of the power bar as your power increases or decreases. Could you make a quick tutorial out of the this one? Then we could move it here in the Tutorials forum where it doesn't vanishes that quick into the depth of the thousand Media Hut topics. I'm not really sure how I'd go about writing a tutorial. It's mostly up to the artist how they go about making one. I suppose technically they are -sort of- tutorial resources though. Maybe a quick explanation how you created the layers and which one is used for what. You could also explain the further steps how you get from the separate layers to the separate SHPs (does Photoshop have a function which saves all layers automatically as separate files? Does each layer have a name which is then used for the filename, which again is already the right one for the game?). For newbies a quick info in which mix the final SHPs should go. A few quick infos about the possible colors. Are you restricted to any palette? Can you draw already in photoshop using the game palette? How about animations? Do some interface elements allow multiple frames? Like the buttons for pressed and normal state? And finally you could add a few links to some other tutorials or templates that you know of and which fit to this. Done. How's that? 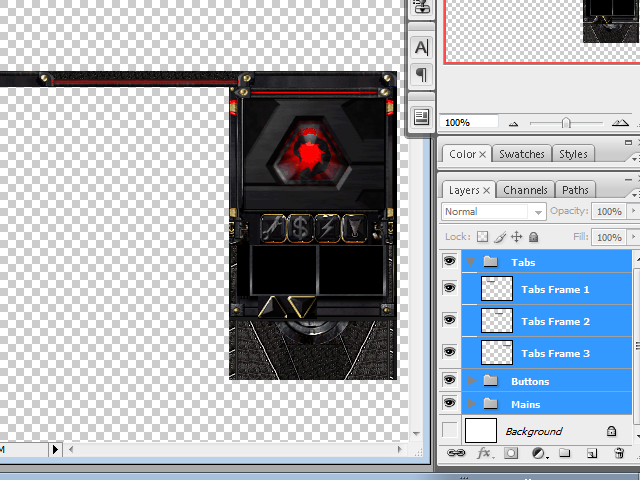 I'm feeling too lazy to do the same for the Red Alert 2 sidebar templates as they're entirely different. If there are differences you could write them in the RA2 templates topic and link to this one for the rest of the necessary information. There are a good number of differences, RA2 also has many more SHP files. A horribly, horribly large amount of extra files. By the way, wouldn't this be better under TS Modding tutorials rather than the media hut section since this would only work for TS sidebars? I thought here, since it's still mainly photoshop stuff and how to draw in it. If it would be done with SHP builder then the TS modding tutorial might be indeed the better place. How can I change the "height" of the power bar? The energy output of a vanille TS Power Plant is "100". If you set this value to "10", the power bar will only "grow" 2 or 3 "energy units" ingame. You know what I mean? Most likely done in the game itself, so doubt you can change that. The height depends on your resolution setting (same as the amount of build option icons you see there). There isn't anything you can do to set it to a fixed height.